Evolutionary Biology and the Theory of Computing. simons.berkeley.edu/programs/evolution2014. Reported more in Natural Algorithms, this is a Simons Foundation program in the spring of 2014 whose organizers include Christos Papadimitriou and Leslie Valiant. Various seminars were Evolutionary Biology Boot Camp (January tutorial) with Eugene Koonin; Computational Theories of Evolution, Nick Barton organizer, with speakers such as Richard Watson, Chrisantha Fernando, Adi Livnat, and Steven Frank; and New Directions in Probabilistic Models of Evolution. Azulay, Aharon, et al. The C. elegans Connectome Consists of Homogenous Circuits with Defined Functional Roles. PLoS Computational Biology. Online September, 2016. At the frontier of integral syntheses across cerebral, social, and cognitive evolution, Hebrew University, Jerusalem, geneticists and neuroscientists distill from neural network complexities a common, independent principle which is at work from Internet media and human brains to this multicellular roundworm. To reflect and appreciate, a designated “connectome” can be seen in ramifying effect across life’s episodic emergence. See also in this section The Multilayer Connectome of Caenorhabditis elegans by Bentley, et al for a similar study. Bentley, Barry, et al. The Multilayer Connectome of Caenorhabditis elegans.. arXiv:1608.08793. A six person team from the MRC Laboratory of Molecular Biology, Cambridge, UK and Cambridge University, including neuroscientist Edward Bullmore, explore some ways in which neural networks, as a prototypical nonlinear system, can equally apply to the rudimentary sensory circuit of this roundworm phylum. And these many 2016 correlations across natural scales seem to find a generic dynamic complexity in the guise of a cerebral icon with an “omics” suffix which is effect from a quickening uniVerse to our human epitome. Betti, Alessandro and Marco Gori. The Principle of Least Cognitive Action. Theoretical Computer Science. 633/83, 2016. In a special issue on Biologically Inspired Processes in Neural Computation, edited by UM Amherst computer scientist Hava Siegelmann, a University of Pisa physicist and a University of Siena mathematician consider how nature’s evolutionary ascent of cerebral cognizance can be traced to and rooted in an intrinsic physical lawfulness. We even wonder if a new field such as “physioinformatics” (suggest a better term) could be added? 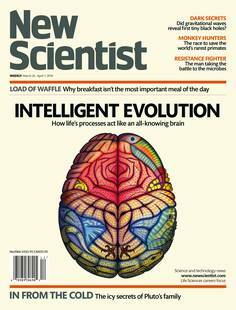 See also in this issue The Grammar of Mammalian Brain Capacity, Topological Evolution for Embodied Cellular Automata, and A Circuit Basis for Morphogenesis. Cabessa, Jeremie and Hava Siegelmann. The Computation Power of Interactive Recurrent Neural Networks. Network: Computation in Neural Systems. 24/4, 2012. Reviewed more in Universal Darwinism, University of Massachusetts, Amherst, computational neuroscientists take these cerebral complexities to exemplify how nature evolves, develops and learns. We are then invited to realize that the same dynamical trial and error, feedback to move forward, iterative process is in effect everywhere. See also Turing on Super-Turing and Adaptivity by Hava Siegelmann in Progress in Biophysics and Molecular Biology (113/117, 2013). Chaistain, Erick, at al. Algorithms, Games, and Evolution. Proceedings of the National Academy of Sciences. 111/10620, 2014. This entry is cited in the Kate Douglas report that headlines the section. Reported more in Natural Algorithms, with Adi Livnat, Christos Papadimitriou, and Umesh Vazirani, theoretical biologists pose a working comparison between natural selection seen as a search, iterate, and optimize process, and a machine learning procedure called “multiplicative weight updates algorithm” (MWUA). Both modes involve explorations and samplings of diverse populations, subject to trials, errors, then retests, so to reach a “good enough” state or solution. A Commentary in the same issue, Diverse Forms of Selection in Evolution and Computer Science by Nicholas Barton, et al, supports the finding. Churchill, Alexander, et al. Learning to Generate Genotypes with Neural Networks. arXiv: 1604.04153. Reviewed more in Natural Algorithms, Queen Mary University of London enter another way to understand how genomes and connectomes (neuromes) are basically similar in form and function. de Vladar, Harold and Eors Szathmary. Neuronal Boost to Evolutionary Dynamics. Interface Focus. 5/6, 2015. In an issue on Are There Limits to Evolution?, Parmenides Foundation, Germany, and Eotvos University, Hungary, biologists, who have been collaborators on a novel view of life’s gestation akin to neural networks (search Watson), here view brain development via Darwinian genetic inheritance as a replicative neurodynamics. In this sense, analogous rugged landscapes serve a “fitness climbing and learning” function. A notable precursor cited is Hebb and Darwin by Paul Adams in the Journal of Theoretical Biology (195/419, 1998). A current companion would be Understanding Emergent Dynamics by John Hopfield, the 1980s founder of neural net theory (Neural Computation 27/10, 2015). In higher animals, complex and robust behaviors are produced by the microscopic details of large structured ensembles of neurons. I describe how the emergent computational dynamics of a biologically based neural network generates a robust natural solution to the problem of categorizing time-varying stimulus patterns such as spoken words or animal stereotypical behaviors. (Hopfield Abstract) Robust emergent behaviors of large systems (whether physical or biological) are a logical consequence of the behaviors and interactions of the more microscopic elements making up the large system. (2030). Fernando, Chrisantha, et al. Selectionist and Evolutionary Approaches to Brain Function. Frontiers in Computational Neuroscience. 6/Art. 24, 2012. With Eors Szathmary and Phil Husbands, another contribution that articulates the deep affinity of neural activities with life’s long iterative development. As Richard Watson, Hava Siegelmann, John Mayfield, Steven Frank, and increasing number contend, this achieves a 21st century appreciation of how “natural selection” actually applies. While a winnowing optimization toward “good enough to survive” goes on, the discovery of dynamic, learning-like, algorithms can now provide a prior genetic-like guidance. Fernando, Chrisantha, et al. The Neuronal Replicator Hypothesis. Neural Computation. 22/2809, 2010. As the decadal review expresses, in the 21st century, by our collaborative humankind, many cross-fertilizations between topical natural and social fields are underway. Here neuroscientists Fernando, with Richard Goldstein and Eors Szathmary, propose the presence of evolutionary algorithms in cerebral functions which search, improve, and select as we learn and think. See also Evolvable Neuronal Paths: A Novel Basis for Information and Search in the Brain by CF, et al, in PLoS One (6/8, 2011). Hochberg, Michael, et al. Innovation: An Emerging Focus from Cells to Societies. Philosophical Transactions of the Royal Society B. Vol. 372/Iss. 1736, 2017. Hochberg, University of Montpellier, Pablo Marquet, Santa Fe Institute, Robert Boyd, Arizona State University, and Andreas Wagner, University of Zurich introduce a focus issue with this title. We place its 16 papers by leading researchers and theorists in this section because they attempt to specify an important tendency of life’s developmental evolution to seek behavioral, communal, and artificial novelties for survival and thrival. With a notice of the major transitions scale, an intensifying cumulative culture and intelligent knowledge can be traced from microbe colonies to civilizations. A. Wagner has been an advocate (search), which he reviews in Information Theory, Evolutionary Innovations and Evolvability. Douglas Erwin follows with The Topology of Evolutionary Novelty. Some other entries are The Origin of Heredity in Protocells, Nascent Life Cycles and the Emergence of Higher-Level Individuality, and Innovation and the Growth of Human Population. This insight into life’s personal and communal cleverness, as the episodic tandem of complexity and sentience arises to our global retrospect, alludes to an quickening individuality. Although not noted, a companion effort is the Open-Ended Creativity school of Walter Banzhaf, Hector Zenil, Sara Walker, Ricard Sole and company, search each. While the ratio of men to women remains 10 to 1, a luminous entry is Innovation and Social Transmission in Experimental Micro-Societies: Exploring the Scope of Cumulative Culture in Young Children by Nicola McGuigan, Emily Burdet, Vanessa Burgess, Lewis Dean, Amanda Lucas, Gillian Vale, and Andrew Whiten. An Abstract for this iconic microcosm is the third quote. Khajehabdollahi, Sina and Olaf Witkowski. Critical Learning vs. Evolution. Ikegami, Takashi, et al, eds.. ALIFE 2018 Conference Proceedings. Cambridge: MIT Press, 2018. A select paper from this online volume (Ikegami) by University of Western Ontario and Earth-Life Science Institute, Tokyo biophysicists who seek better insights into life’s quickening sentience by way of inherent complexity principles. By current turns, these dynamic phenomena appear to be increasingly cerebral in kind and function. In an extension of this view, just as brains are found to prefer and reside in a critically poised optimum state, so it seems that so does evolutionary developmental emergence.